Discussion in 'The Pub' started by rowdyyates, Dec 8, 2016. They need to be waterproof, keep my hands warm in mid 20 degree temp for several hours. I need to be able to function with them on - not thread a needle , but get my keys out, pick up a screw, etc. Recommendations? Me too actually. I had to use an old tube sock the last time I had to scrape my windshield. It didn't work very well by the way. Ive had good luck with waterproof running gloves. some of the windproof ones are fairly warm. i wear them when i work at an xmas tree farm since I'm tying knots all day putting the trees on the roofs. I just dropped almost $50 on a pair of gloves and can attest they are NOT going to keep my hands warm. 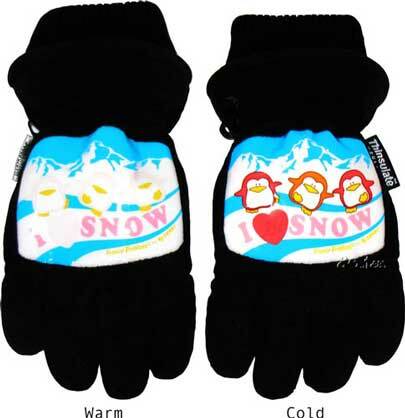 Shipped websites that sell nothing but high-end ski stuff and end up with a pair of gloves that 'look cool' but don't keep hands warm. They're goin' back. When I started shopping for a pair of gloves it seems that being able to TEXT in a pair of gloves is the first 'must-have' feature customers use to make a buying decision anymore. Do some research on Outdoor Research Gloves ... then don't buy them! The pair I bought was highly rated in terms of being able to wear them and do things the OP mentioned. Warm? Nope. Had them on in 25 degree weather last night and the tops of my hands could most definitely feel the wind and cold. I'm starting to think that down-filled leather mittens are about the only glove type that will truly keep your hands warm. Mittens are pretty much the way to go if you really care about being warm. If im out working, dry is most important thing, wind resistance 2nd. I have jacket pockets if it gets too cold. I've noticed the etip gloves are big now, and I agree, I don't have any interest in trying to use my phone in these gloves. willing to spend what it takes. Anybody have experience with Swany? I have a bunch of gloves and none are perfect for anything but I like the Kong Cold Condition best for wet stuff. IMO you'll be better off with liners and a heavier glove over it. My son prefers the mitten that pulls open to reveal fingers. But he likes a liner, too. I will get mittens like his when I wear my thick gloves out. It'll be a long time because I use a thin liner most of the time. This is for hunting, mostly. Not sure if that parallels your needs/usage. Created for warmth and weather protection in backcountry environments, the Lithic delivers the insulation and security of a mitten with a surprising level of dexterity and grip. Built from a durably waterproof and breathable GORE-TEX® glove insert, it will protect you from harsh weather. The Lithic uses three types of PrimaLoft® insulation selected and mapped to provide effective thermal performance, extended durability and high levels of ergonomic freedom. Protection and comfort. Waterproof and breathable. This IS The Gear Page. My best gloves are also the ones I've had the longest. They're leather on the outside & a quilted liner inside. I got them from the U.S. Navy in boot camp, in 1989. Yes, they're that good! I'm thinking a good wool liner with a leather glove or mitten might be the way to go. My hands always freeze in the winter , but personally I turn the heat on when it gets to 60. 95 degrees is my comfort zone. None of the gloves I've tried allow me to survive outside for more than a few minutes without loosing mobility or great discomfort. Srsly...check out motorcycle winter gloves. They're designed to be waterproof, warm and you can feel what you're doing. They make Freezy Freakies in adult sizes now!